Please enter your e-mail address & we will send you a new password. We will send the latest reference number to the email address that you have used while booking. Sheikh Rashid Road, Wafi Mall, Bur Dubai,P.O. Box 121800, Dubai, United Arab Emirates. 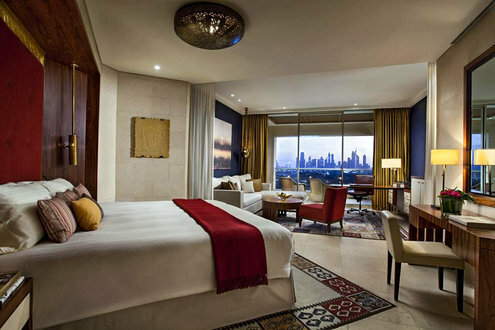 Raffles Dubai Hotel Hotel is one of the most famous hotels in Dubai and stunning landmark in Dubai skyline. 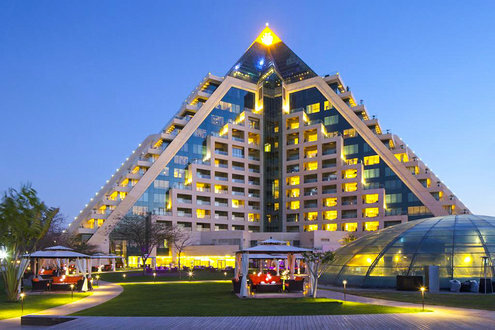 The 5-star hotel is inspired by Egypt's famous pyramids and is characterized by wonderful modern building designed with classy decorations and modern furniture in cheerful colors to provide guests with best vacation atmosphere. 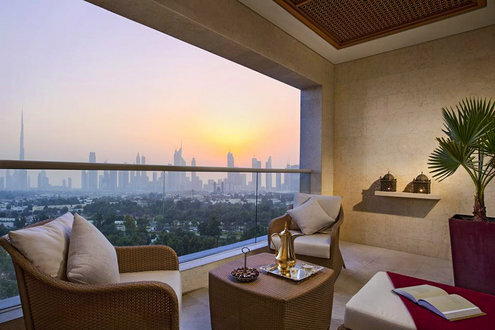 Dubai is a city and emirate in the United Arab Emirates, famous for its luxury shopping areas, modern architecture and vibrant nightlife as well as many sightseeing that guests can visit such as Burj Khalifa, 9.3 km away and Mall of the Emirates, 20.8 km away. Burj Khalifa, is a skyscraper in UAE and the tallest tower in the world with a height of 828 meters. Burj Khalifa which has a design derived from the monotonous style inspired by the Islamic architecture. 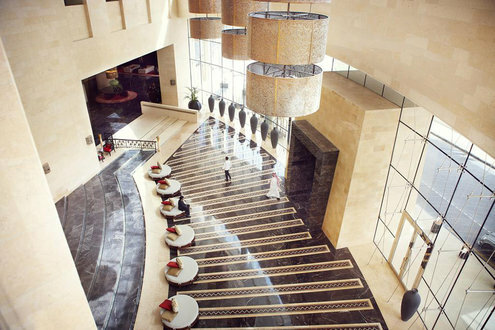 The tower consists of 200 floors, including cultural and historical elements as well as highest mosque, the highest restaurant and the highest swimming pool. Mall of Emirates, a shopping center in Al Barsha, Dubai. The mall features 14-screen cinemas, a playground, the usual range of shops and a large theater. The Mall includes Sky Dubai and considered as one of the world's largest shopping malls. Dubai Creek, a great tourist destination, your visit to Dubai can’t be completed without enjoying the sight of Dubai Creek, a river-like seashore that divides Dubai into two main banks, Deira and Bur Dubai. It is about 15 km long and natural port for Arabian ships. 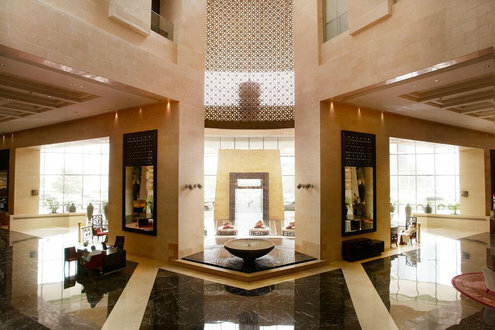 The hotel offers a full-service spa, featuring massage and treatment rooms, beauty services and hairdresser. 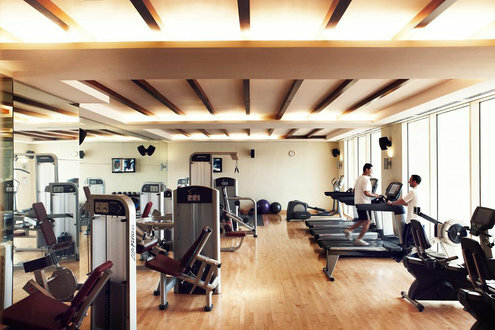 The hotel offers a fitness center with modern sports equipment under the supervision of highly experienced personal trainers The hotel has 252 spacious, bright and modern rooms and includes a range of outstanding facilities such as air conditioning, wake up service, heating, safety deposit box, bridal suite, VIP room facilities, family rooms, facilities for disabled, newspapers, safe deposit box and room service. 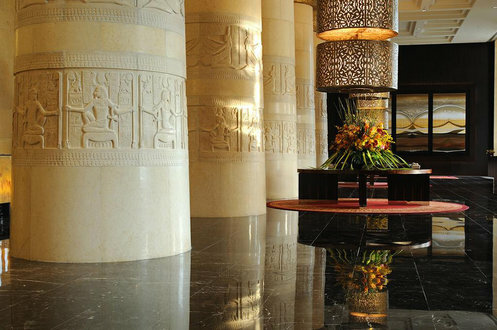 We guarantee world-class hospitality and exceptional service as our attention to detail is our hallmark. The hotel offers a range of facilities designed for your convenience such as private check-in / check-out, concierge service, on-site ATM, ticketing service, tour desk, currency exchange and 24-hour front desk. The hotel has the best of the hotel's finest cuisines, such as the world-famous Azur restaurant, the Japanese restaurant Tomo, and the Italian restaurant and bar, Solo, which serves the most famous Italian dishes. 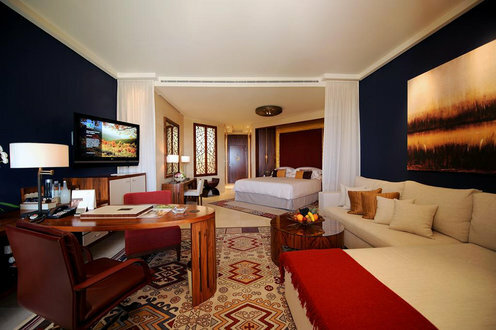 Save lots of time and money and book at Raffles Dubai Hotel at the best deals with Flyin. 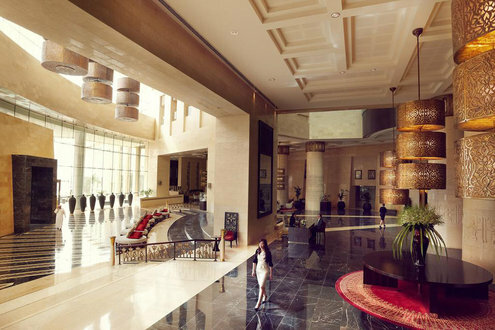 The hotel is located in Bur Dubai area, allowing guests to visit the most important tourist attractions such as Dubai Medical City, which is about 650 meters away and the Children's City, about 1.9 km away. For fashion and shopping lovers you can shop in the best malls in Dubai such as Wafi Mall, which is about 1.2 km and Dubai Mall, which is about 9.2 km. Dubai offers the world's most charming restaurants, such as La Tapleta Restaurant, which is 1.4 km away and Solo Dubai Restaurant, which is about 120 meters away. Raffles Dubai Hotel is located close to Dubai International Airport, about 7.6 km away and Dubai Medical City Station, about 450 meters away. Cancellation policies may vary seasonally or depending on the hotel or room type. You can review the hotel's policy during reservation. Children policies may very seasonally or depending on the hotel or room type. You can review the hotel's policies during reservation. Reach us, we're available 24/7. Flight & Hotels in one place Download our app now! Just a few clicks and you're done! Hi, you are using an old version that we no longer support, please update your browser to the latest released version or use an alternative. Within one hour, you will receive the booking confirmation if payment is received.